"Stately" is the word for this backyard pool arrangement. 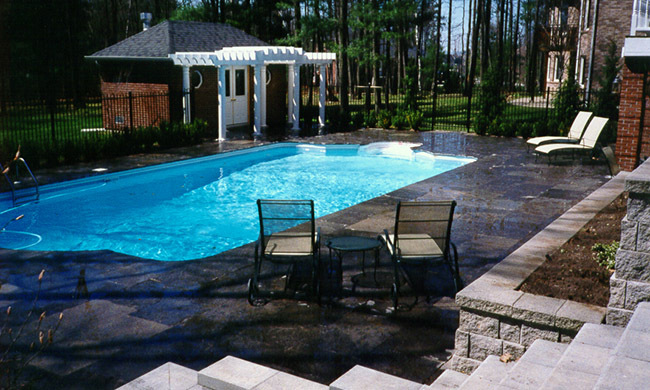 Over 2000 sq ft of square-cut flagstone was used for the pool deck surface. A nice place to have a formal outdoor party.